We were thrilled to host a collaboration of Central Oregon wedding vendors at Wine Down Ranch for a boho-chic wedding shoot, coordinated by our friend Lacy Kalberer of A Little Grace A Little Lace Events. We are new to hosting weddings, but after seeing the amazing photos (by Marina Gotkas Photography), we couldn't be more excited to open the gates to brides seeking a ranch venue to host their perfect wedding. Wine Down Ranch offers a little something for every type of bride. Adventure-seeking couples can hike (or helicopter!) and wed atop a plateau at 4,600 feet. Our hay fields, with Ochoco National Forest and canyons in the background, are the ideal location for a rustic wedding. Or escape into the woods with a bohemian themed setting. We have hosted events from small groups to several hundreds on the ranch, and will do our best to make your wedding an unforgettable experience for all. 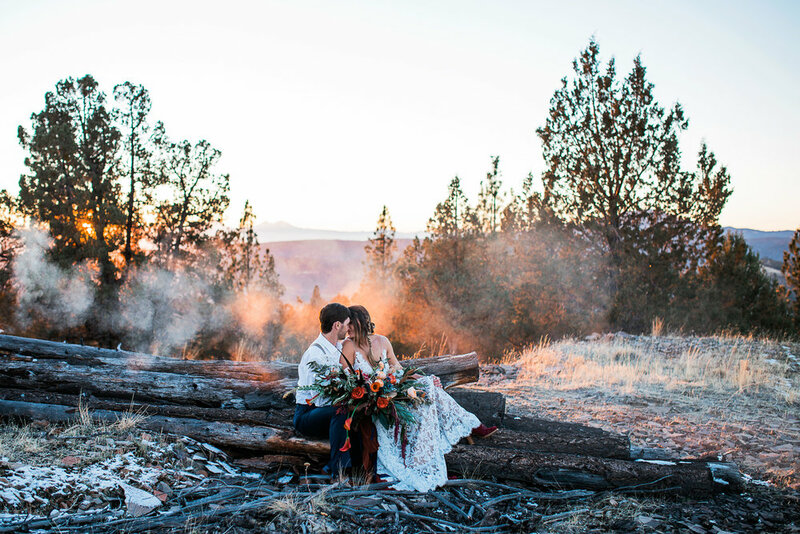 Contact us today to request information and availability for your Central Oregon wedding.